Forget the refried beans and try this tasty vegan lentil pâté recipe, an appetizer spread made with lentils, garlic, and onions. Serve it at your next party with toasted bread rounds or crackers. In a large saucepan, gently sauté sweet onion and garlic in the margarine over low heat until soft, but not browned. Season with black pepper. Add lentils and heat until warmed through. Scrape lentil mixture into the bowl of a food processor fitted with the metal chopping blade. Process until smooth, adding water if necessary. Add vinegar and pulse until combined. 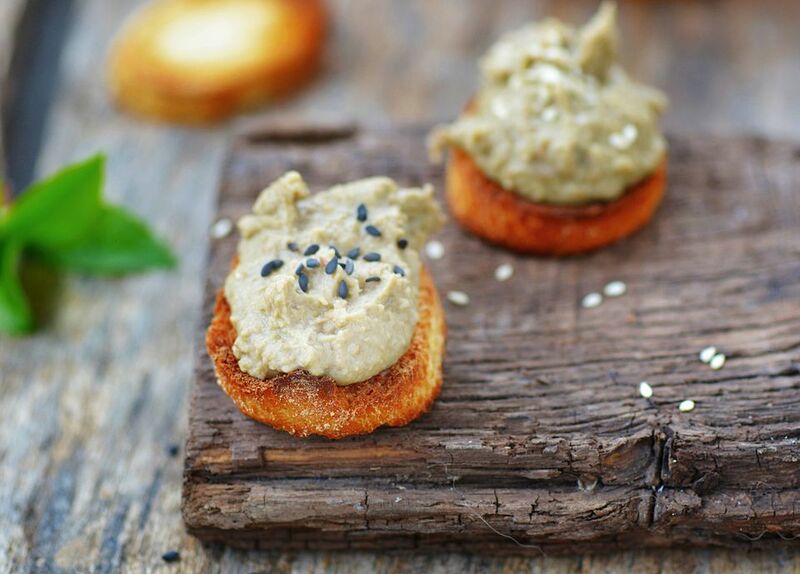 Serve lentil pâté at room temperature with toasted bread rounds or savory crackers for a delicious vegetarian appetizer that will appeal to all. When the French word pâté has an accent over the "e" it means "paste." When there is no accent over the "e" it means pie. That's a big difference. It can be made with pork, veal, ham, liver, fish, poultry, game and vegetables. Sometimes they are cooked in a crust and at other times they are baked in terrines which have been lined with strips of fat or bacon. Pâtés can be hot or cold and are usually served as a first course (especially in the case of a warm pâté) or as an appetizer passed on trays with other canapés or on an hors-d'oeuvres spread. Raw Vegan Sundried Tomato Olive Pâté Recipe: This can be spread on flax crackers, raw pizza crusts, raw bread, or used as a dip for fresh veggies. Sunflowers are used here but other soaked nuts or seeds can be substituted instead.